We have a new (temporary) resident on the farm. 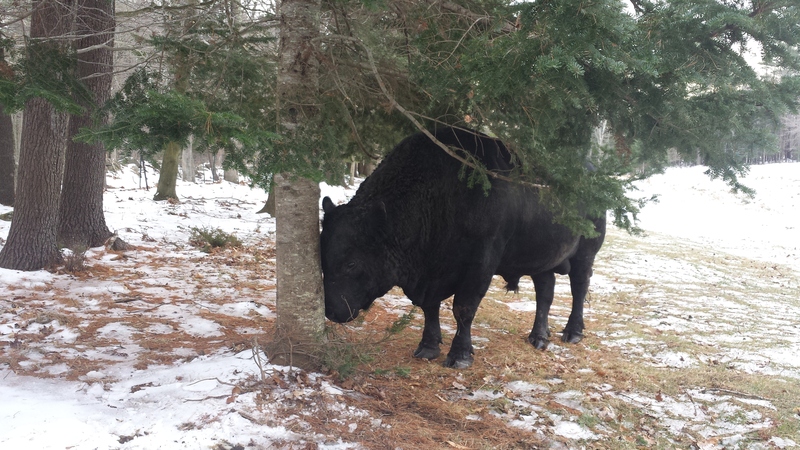 He is Bull-Dozer, a Angus bull from Applewood Farm in New Gloucester. This is the third bull we’ve had from this farm and Dozer is mellow, friendly and enjoys long walks around the paddocks. A new product has been added to our coolers, it is a chorizo goat sausage made up in Dover-Foxcroft by Herring Brothers Meats. This is a loose, ground sausage and is packed in one pound packages. We use this sausage for tacos, a spicy kale soup (made with Apple Creek chicken broth) or for a non-traditional meatball. The holidays are a great time to craft memorable meals. We have a variety of beef roasts, legs of lamb and goat, chickens and geese and the recipes to ensure a delicious celebration. 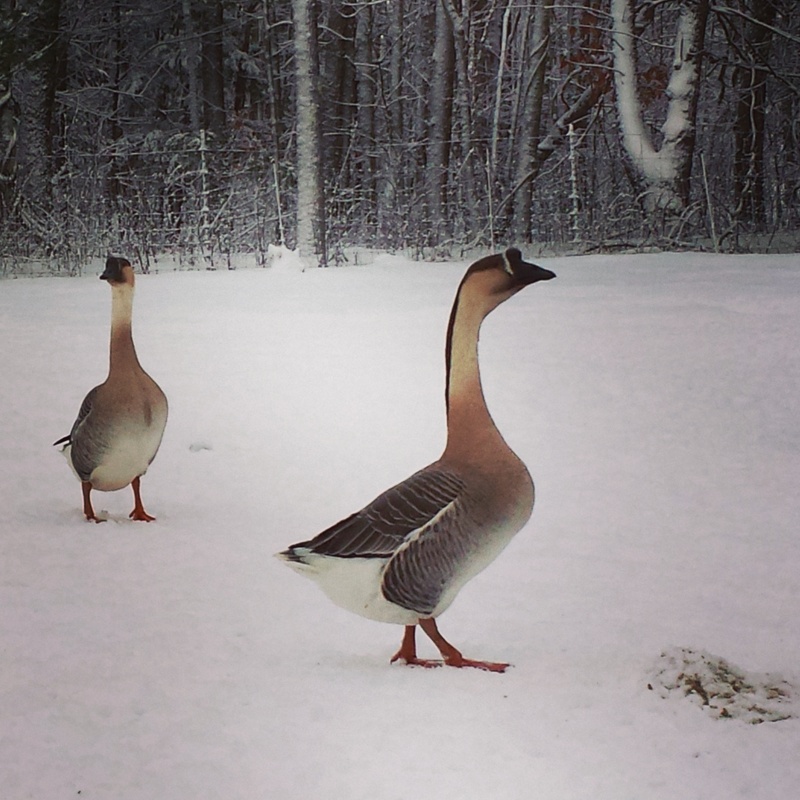 We’re still taking reservations for Christmas geese for pick-up on Saturday, December 20th at the Fort Andros Winter Market in Brunswick. We are raising the African goose breed and these birds are not just good-looking but will yield luscious dark meat and a rich fat that makes for delicious roast vegetables or fried potatoes. Our geese are fed certified organic grains from Maine Organic Milling and from Green Mountain Feeds in addition to snacks of kale and chard from Six River Farm. As with all of our poultry these birds will be processed in West Gardiner at Westons Meat Cutting & Poultry. Geese are priced at $10/lb with a range of weights available. To see what’s happening on the farm today, visit our facebook page.